1.7 million cars are being recalled for possible explosions of Takata air bags. Check below to see if your car is on the list. Who is affected by this recall? This is a nationwide recall encompassing dozens of car makes and models. The latest update issued on February 7 has added Subaru, Tesla, Ferrari, BMW, Volkswagen, Mercedes, and Daimler vans to the ongoing list of affected vehicles. Cars and vans outfitted with the defective Takata air bags are being recalled. Why are these cars being recalled? Over time, humidity and heat can cause defective Takata air bags to explode. That's right -- not just inflate unexpectedly, but explode due to unstable chemicals, potentially sending shrapnel flying throughout the car. When did this recall begin? The recall began in 2015 and continues to expand and be reported upon. Progress of the overall repair work is being monitored by the NHTSA. How do I proceed if my car is on the list? Simply visit the National Highway and Transportation Safety Agency website and enter your vehicle identification number (VIN) to see if your car is on the recall list. If it is, call the local dealer in your region for the free repair. You can also sign up for alerts with the NHTSA for any future national recalls. Car owners with recalled vehicles will also be contacted by mail so keep an eye out for a paper recall notice. 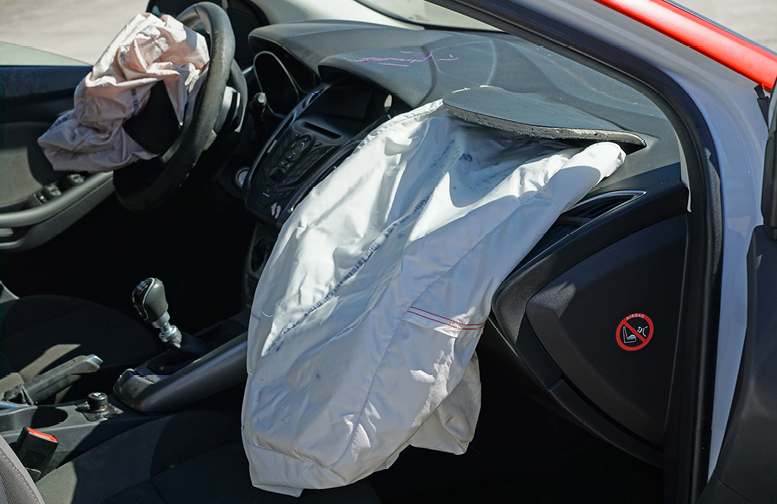 For more information about this Takata air bag recall, visit the NHTSA website. Has your car been recalled related to this Takata air bag issue? Tell us about it in the comments below!